Allen Creek offers preschool classes for 3 and 4 year old children. 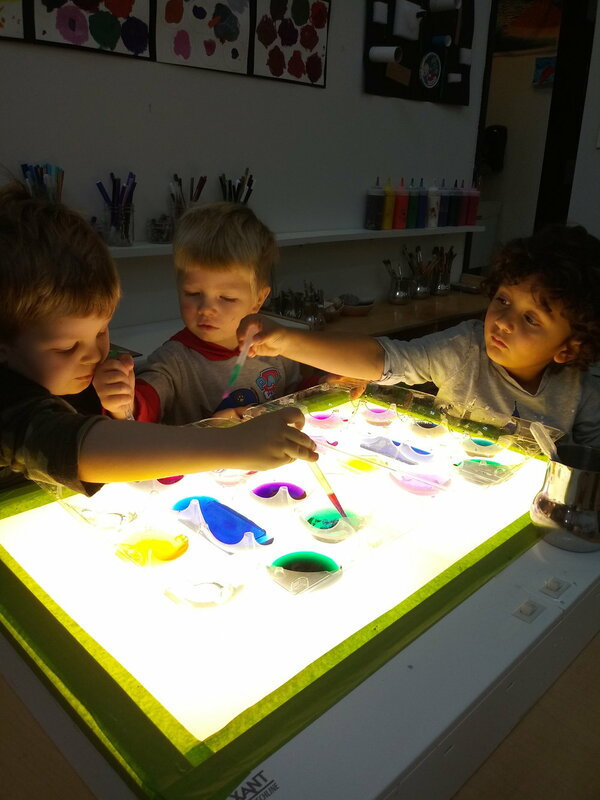 Allen Creek's preschool programs build on each child's experience of a widening world to nurture social, academic, motor, creative and personal skills. A small class size (6:1 ratio) with two classroom teachers and a creative arts specialist allows for an individualized learning experience. A gradual separation process promotes comfortable independence in a secure, loving environment. Preschool Yellow is designed for children 3 or turning 3 during the fall of the school year (This class has a gradual transition element). Preschool Green is for children turning 4 during the fall of the school year. Preschool Red is for children 4 at the start of the school year. Each class has Family Consultants and our Child Development Director as expert resources about child development. Parents meet regularly with the Family Consultants, who also observe in the classroom and meet weekly with teachers. Children and parents at Allen Creek are encouraged to separate at their own pace, supported by teachers and Family Consultants.